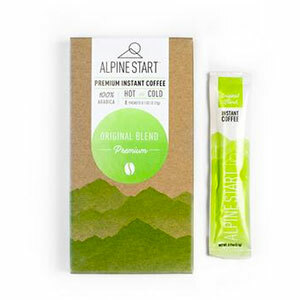 Camp coffee is a staple of almost every backpacker. 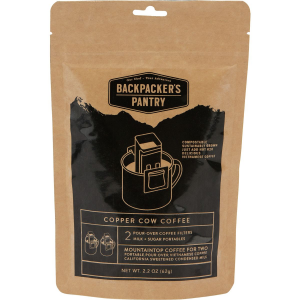 Camp coffee is a staple of almost every backpacker. We try and find the most compact but useful gear to bring that perfect cup of Joe on the trail with us. Nature's Coffee Kettle has taken all the guesswork and expense out of getting that perfectly filtered cup of coffee, or four, on the trail and they've also taken out the weight of fancy coffee equipment. Our first morning waking up on the trail was made all the better by our camp coffee. 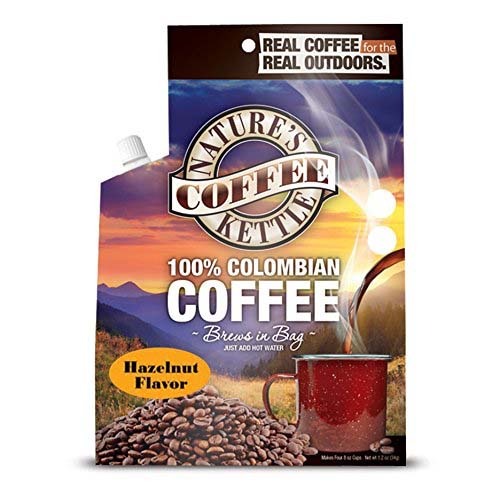 Received for free as compensation for reviewing we tried out the Nature's Coffee Kettle in the hazelnut flavor. We got off to a rocky start when the pre-cut slits for opening did not open low enough to break the seal above the sip lock. Luckily we had a swiss army knife to work with and after a couple minutes got it open. We boiled our water and poured it into the top of the kettle bag where a filter bag of the coffee is placed. We poured the first cup slowly to let it saturate the filter bag and then poured in the rest. Sealed it up and let it sit for a few minutes. 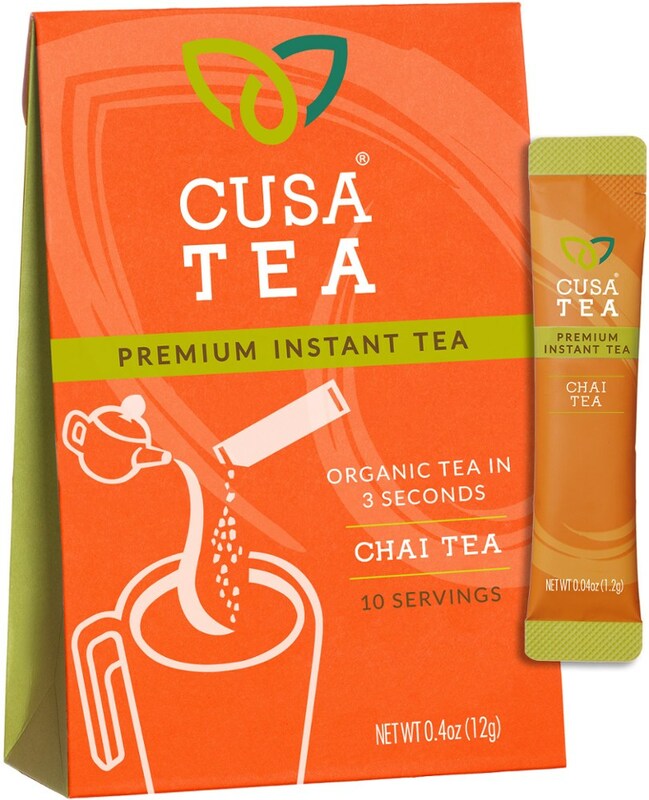 Once we thought it was ready we were able to pour out about 4 cups. 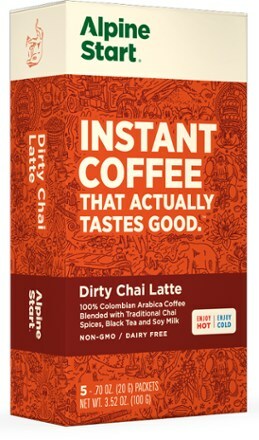 It does say if it doesn't look strong enough to pour it back thru the filter, but it looked and tasted great to us. Once done we sealed it back up, put the cap back on, and put it in the bear vault, where unfortunately thru the day it leaked all over. Bonus, everything in the BV smelled AMAZING, but of course everything was also covered in coffee. The next morning we opened up the kettle and put in a new filter to use the kettle again. It worked the same as the previous morning with another cup of yummy hazelnut coffee. Overall I'd give the kettle a 4.5 out of 5 stars. Missing 1/2 a star for the bag malfunctions. The coffee was delicious and I look forward to trying out other flavors in the future. Maybe the cider or hot chocolate as well! 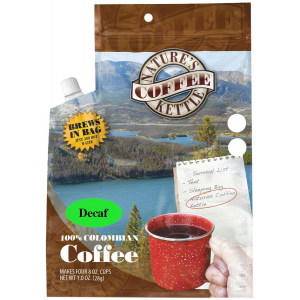 The Nature’s Coffee Kettle Hazelnut Coffee is not available from the stores we monitor. It was last seen April 25, 2017	at CampSaver.com.